Reading of Jane’s isolation sparks a deep sense of kinship. Then fate takes things a leap further when a lightning storm catapults Emma right into Jane’s body and her nineteenth-century world. As governess at Thornfield, Emma has a sense of belonging she’s never known—and an attraction to the brooding Mr. Rochester. When I was a child, our home was always filled with great books. My parents are classicists and teachers, so the study of history and language was an integral part of our upbringing. But my parents were no intellectual snobs. They read Dr. Seuss along with the Greek myths, Winnie the Pooh along with the Bible. As my brothers and I grew older, my parents shared with us their own beloved favorites: Little Women and Nancy Drew for my mom, Sherlock Holmes and James Herriot for my dad. I can attribute my love of reading today to the way I was taught to love and appreciate books as a child. And while my mother was the one who usually read us our bedtime stories, my dad was the one who took us to the library. I loved to explore the stacks, reading the blurbs on the back jackets, eyeing the fascinating covers, and adding to my stack until it was so high I couldn’t see over the top. It was there at my local library that I discovered “Choose Your Own Adventure” books and Sweet Valley High, Judy Blume and Lois Duncan, Kurt Vonnegut and Ray Bradbury, Jane Austen and Charlotte Brontë. My love affair with books has been one of the most enduring and enriching of my life. Given this passion for books, I’ve always wanted to do a Wizard of Oz-type story about a shy, studious girl who gets transported into one of her favorite books. And like Dorothy she comes away from the experience changed, having learned lessons about friendship and personal strength. I think many of us develop our core identities not only from our families and friends, but also from the books we read and the characters we love. And Jane Eyre is the ultimate heroine: strong, intelligent, moral, and not afraid to speak her mind. I knew I wanted my protagonist, Emma, to step into her shoes as she awakens to first love and discovers her own strength of character. Did you have a sense of how events/themes in your fantasy might parallel or speak to events/issues in our real world? Or did this evolve over the course of many drafts? A Breath of Eyre doesn’t really comment on any particular social trend or movement; it does, however, respond to the need for escapism in a world that is becoming increasingly terrifying. In my experience, there are two artistic responses to a world gone mad—to reflect it, as in the case of dystopian literature, which often poses a “worst case” scenario; or to provide a literary escape from it. In that way, I would argue that dystopians and paranormals serve similar purposes: they help us deal with the fears of our own era, provide hope, and above all, entertain us. So while my book won’t bring about any massive social change or disturb the order of the universe, it will (I hope) offer a temporary escape from the troubles of the world or the aggravations of ordinary life. When I was a kid, books were my salvation, my passport to another world. 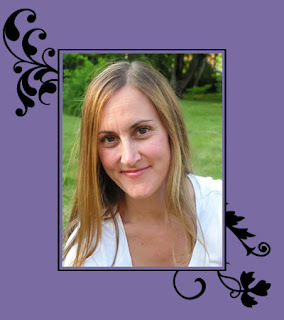 My main character Emma so longs to escape her life that she loses herself in her favorite book. Literally. Twice Told Tales by Eve Marie Mont from Cari's Book Blog. Peek: "The thought that I was “playing around” with a treasured classic caused me plenty of sleepless nights. But ever since I read the novel in high school, I guess you could say I’ve been obsessed with Jane and Rochester’s story. I wanted an excuse to linger in its pages, to consider the characters and their decisions from a modern perspective." Great interview! I, too, am a big fan of escape books and love getting lost between the pages for a few hours. 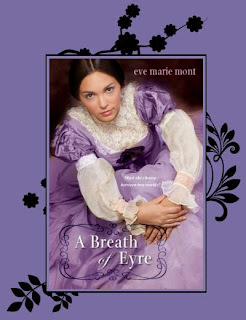 I have A BREATH OF EYRE on my TBR pile and can't wait to get into it! I can't wait to get a copy of this. 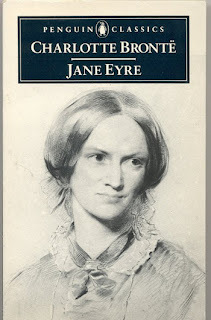 I might be reading Jane Eyre again first though. Thanks for the introduction. Happy reading, Joanne & Margie!